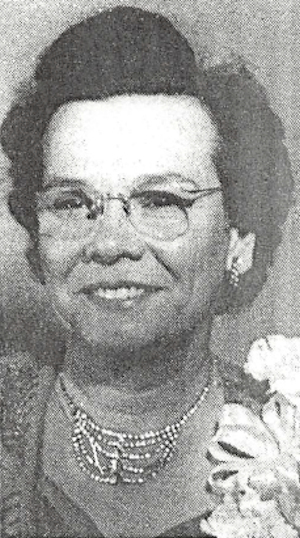 Obituary – Greene, Edith Louise (McCormick) « Perry High School Alumni Association, Inc. Girls Reserve, Glee Club, Junior Play, Red Hots. ﻿Mrs. Edith Louise Greene, 69, life-long resident of the Perry community, died at 11 p.m. Thursday at Perry Nursing home where she had resided since Aug. 17, 1977. Funeral will be at 2 p.m. Saturday at Parker Funeral chapel with Rev. William Higgins, pastor of the United Methodist church, officiating. Burial will be at Grace Hill cemetery. A memorial has been established for the Oklahoma Medical Research Foundation. Parker Funeral home will serve as custodian of memorial contributions. Mrs. Greene, the former Edith Louise McCormick, was born June 27, 1909, at Perry. She was the daughter of James S. and Grace McCormick. 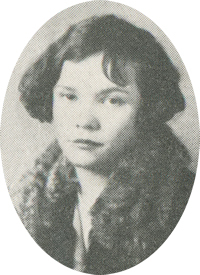 She was a 1928 graduate of Perry high school. She and Walter (Cotton) Greene were married Jan. 21, 1928, at Winfield, Kan.
Greene preceded his wife in death Dec. 30, 1970. Mrs. Greene was a long-time employee of Foster’s Corner Drug in Perry. She was a member of the United Methodist church and the Order of Eastern Star of which she was a past worthy matron. Her home had been at 526 Elm before she became a resident of the nursing home. Survivors include one son, Richard Greene, route 3, Perry; two brothers, Myrle McCormick, Perry; and J. Byron McCormick, Arkansas City, Kan.; and two grandchildren.